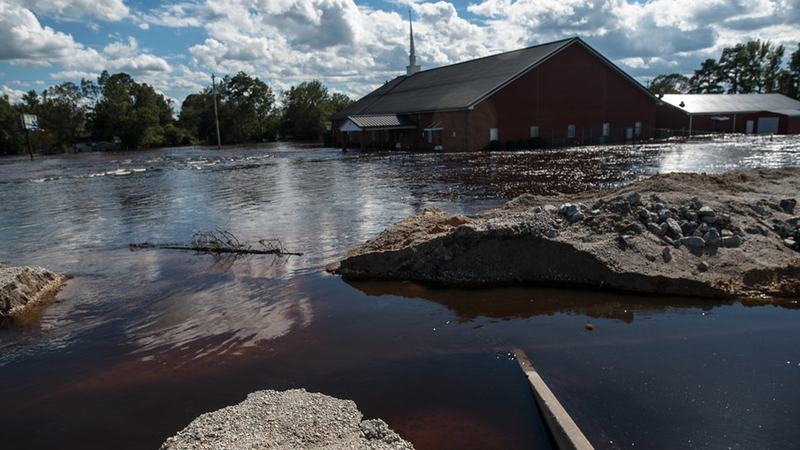 Water flows through a break in the temporary levee in Lumberton, N.C. Huffington Post photo. 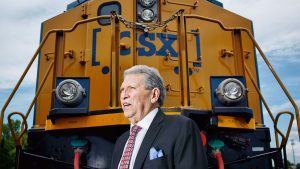 A flood of controversy is swirling around CSX following media reports blaming the railroad for catastrophic flooding in Lumberton, N.C., during Hurricane Florence, which inundated much of the state’s low-lying coastal areas. 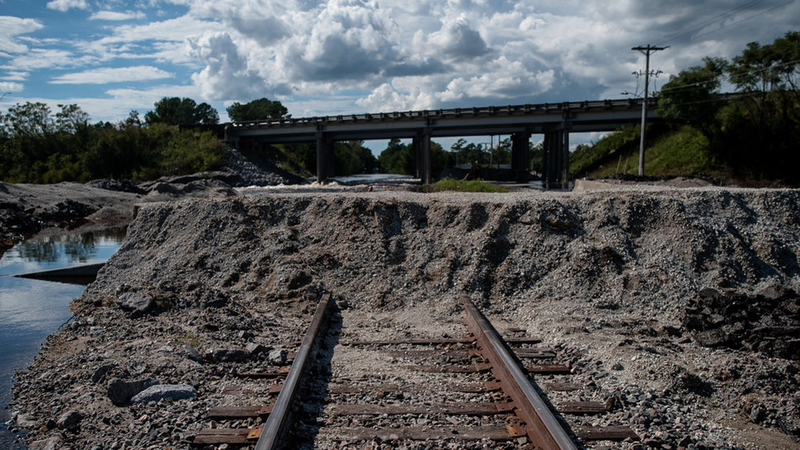 A temporary levee made of dirt, gravel and sandbags was built over CSX tracks in Lumberton in an attempt to hold back floodwaters from the Lumber River. Huffington Post photo. 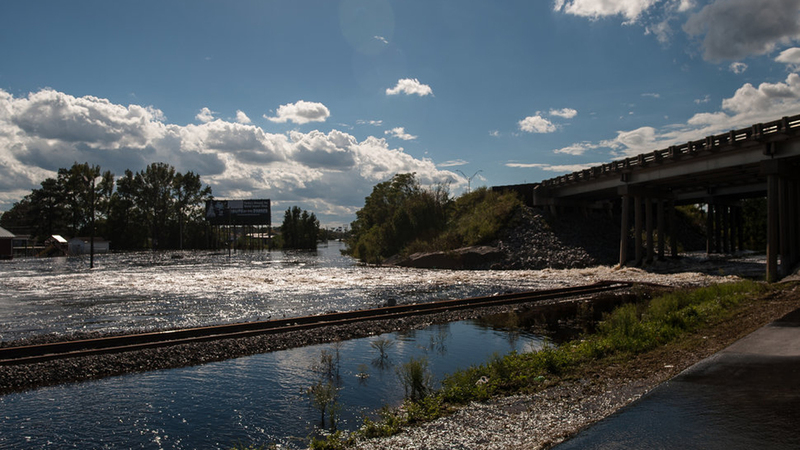 In the nearly two years after Matthew, Lumberton has worked toward a permanent solution, securing a $1.25 million grant to build floodgates at the railroad underpass, with work slated to start next year, the News & Observer reported. The Federal Emergency Management Agency (FEMA) has approved a floodgate for the site, but local media said CSX was “arguing” with the township, slowing down construction of a permanent fix. One of the two breaks in the temporary dirt and sandbag levee in Lumberton that failed. Huffington Post photo. 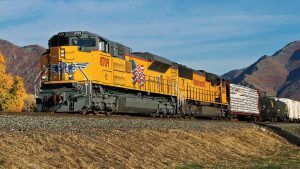 “CSX takes storm preparedness very seriously,” Director Media Relations Katie Chimelewski told Railway Age. “The safety of our employees and the communities [along our lines] is our top priority as we work to prepare for a major storm. Our network is critical to ensure storm supplies are strategically located in areas prior to a storm’s arrival. Also, we work as safely and as quickly as possible to ensure that railcars and hazardous materials are out of the storm’s path for the safety of neighboring communities and our employees. 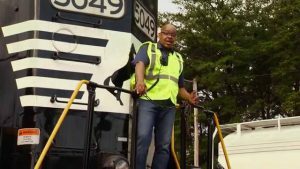 “In Lumberton, we had to clear the traffic out of the coastal communities of Wilmington, Acme and Lumberton before the line was closed to provide access to the community. CSX works hard to balance the competing demands on its network during times of emergency from local and state constituencies, state and federal regulators and our customers. “CSX ensured that no further use of the rail line was needed for emergency storm movements before we allowed safe access to the Lumberton community for the sandbag operation. 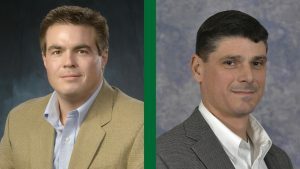 “The sandbag operation and temporary berm construction occurred but was unfortunately unsuccessful, and Lumberton was flooded as a result of the extraordinary amount of precipitation from Hurricane Florence.